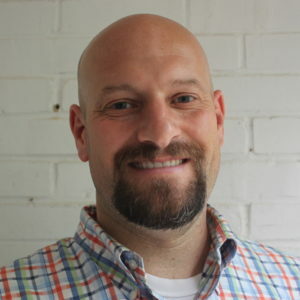 This is a guest post from Andy Hanes, a Tynker Blue Ribbon Educator and current Lower School Technology Integrator and Educator at Friends School of Baltimore. Andy is a curious learner, and he is humbled to be a part of several professional development communities: Tynker Blue Ribbon Educator Program, Seesaw Ambassador, and Book Creator Ambassador. You can follow him on Twitter at: @andy_hanes. One of the beauties of students delving into the world of coding is that it gives them more opportunities to engage in the creative process. Storytelling, designing, and making are all useful skills when integrated with coding. 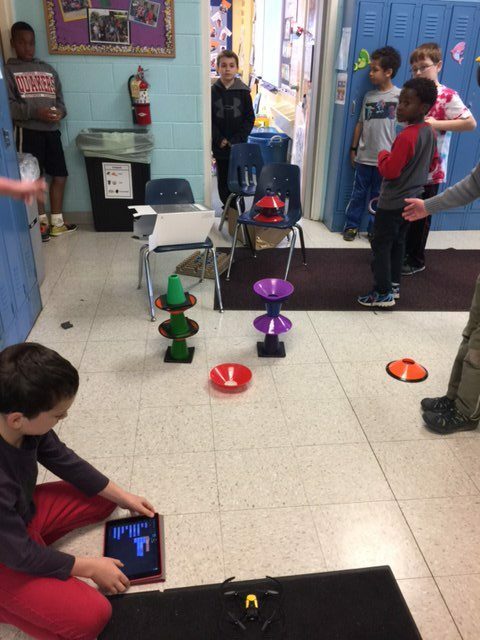 Coding offers students new opportunities to express themselves creatively. The Hour of Code is incredible because it gives students the opportunity to dabble, explore, and/or go deeper with coding. But without the benefit of a computer science curriculum, how can the Hour of Code be more than just that—an hour during one week of the year? A Friends School teacher in his element. That was my quandary after my school participated in the Hour of Code for the first time in 2014. Friends School of Baltimore is a private coeducational Quaker school serving students in Pre-K through 12th grade. Once a month, the first Wednesday of the month to be exact, we in the lower school spend the day stepping outside the normal curriculum. We call it PLUSS Day, and it is an opportunity for different grades to collaborate with one another, provide more time for deeper experiential learning, and time to slow down the sometimes exhaustive pace of everyday school. Over the years we have had themed days such as Kid EdCamp, Crossing Borders Foreign Language Café, Board Game Day, Day of the Book, Children’s Day, Fun Run for Houston, and others. In the fall of 2015, a year after participating in our first Hour of Code, some of us took the opportunity of PLUSS Day and the Hour of Code and planned our December PLUSS Day around the idea of STEAM: Building, Designing, and Creating. Faculty volunteered to lead varied sessions for students to experience building and designing, defined in a very broad way: marble mazes, tortilla making, the art of balancing, painting with Sphero, and human coding are some examples over the last few years. Getting ready for some Tynker/Drone problem solving! Here are the session descriptions for the day in January of 2016 and December 2016. Our PLUSS Days have helped continue our school’s evolution of pedagogy, and the Hour of Code played a role in that evolution. 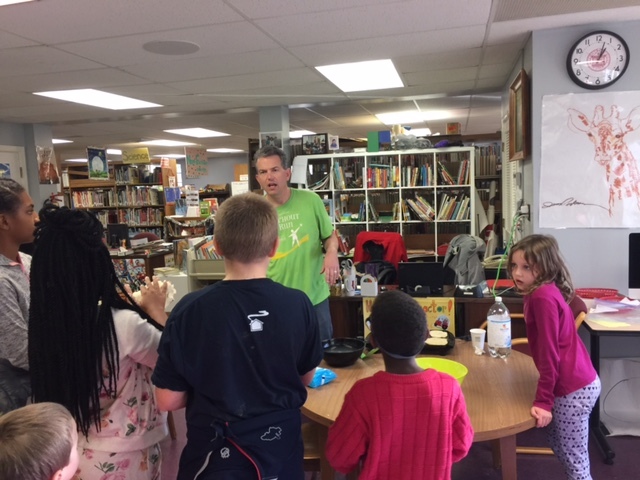 After the success of our STEAM PLUSS Day, there seemed to be more excitement and energy behind our planned LS Makerspace, which opened in the fall of 2016. Some grades are looking for more ways to integrate coding into their curriculum. Last year, third graders coded an interactive Martin Luther King, Jr. timeline from one of Tynker’s seasonal projects. This year, grades second through fifth are taking math time once every 10 days to do one of Tynker’s coding courses, and we have planned more integrated Tynker projects for each grade—creating interactive spelling rules for second graders, animated poems and MLK timelines in third grade, animated Greek myths in fourth grade, and interactive Lewis and Clark maps for fifth grade. Using the platform of the Hour of Code has been powerful in exposing coding to our faculty and students. It has demystified the “scariness” of coding and has inspired the creative process to new heights. Participation in the Hour of Code has furthered our school’s pedagogical shift in 21st teaching and learning, deepening the learning process for our students. Andy Hanes is on Twitter at @andy_hanes. Want to see what Tynker can do for your students?